Confirmed: Apple can still surprise. On July 20 of last year, Apple began a journey. With OS X Lion (aka OS X 10.7), the company started taking some of what they had learned from iOS, and the iPad specifically, and putting it in their more mature OS. 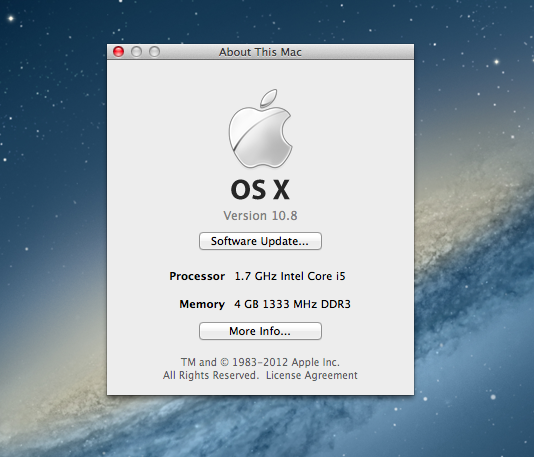 Today, that transition continues with OS X Mountain Lion. Yes, Apple is already ready to show off the next version of OS X — technically 10.8 — just seven months after the last version was released. Actually, it hasn’t even been a full seven months. But given how quickly iOS development is moving, Apple wants to make sure OS X can keep up. 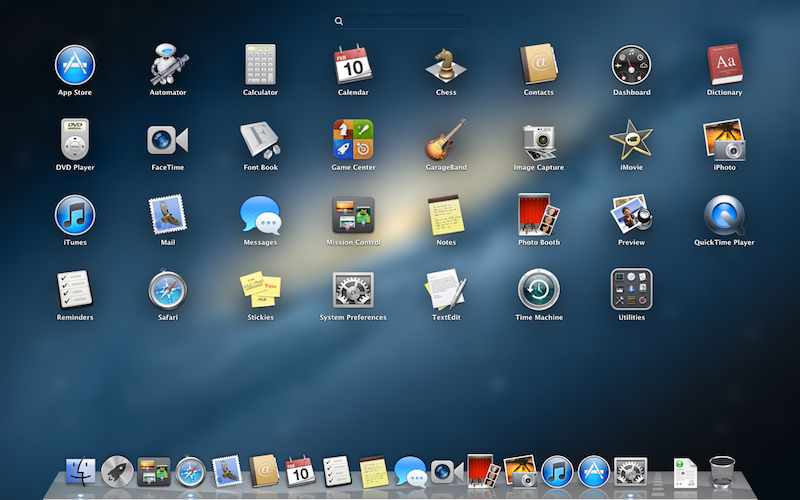 For the past week, I’ve been using an initial demo version of OS X Mountain Lion. To be clear, it’s not quite complete yet, but it’s already fairly polished. With that in mind, Apple will be releasing a developer preview of Mountain Lion today to Mac developers. And the plan is to release the new OS sometime this coming summer. 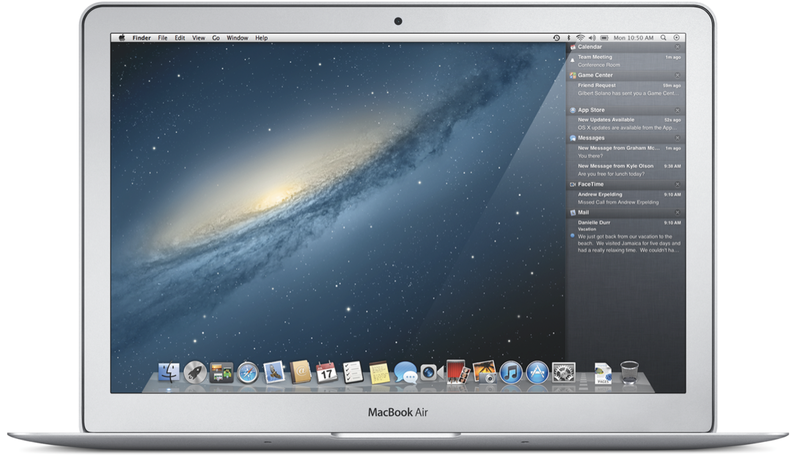 The best way to think of OS X Mountain Lion may be to think back to OS X Snow Leopard (10.6). If you recall, Apple positioned it to be a smaller upgrade to OS X Leopard (10.5), hence the naming convention. My sense is that the same is true here — and again, hence the naming — but Apple isn’t really positioning it that way. Instead, they view it as the next step towards a more unified Apple ecosystem. To be fair, while Snow Leopard mainly focused on improvements in speed and size, Mountain Lion actually packs a bunch of new features. Much like they did with OS X Lion, Apple is focusing on ten key ones (though there are dozens of other changes). I’ll give the rundown of those first. Apple says there are now over 100 million iCloud accounts. 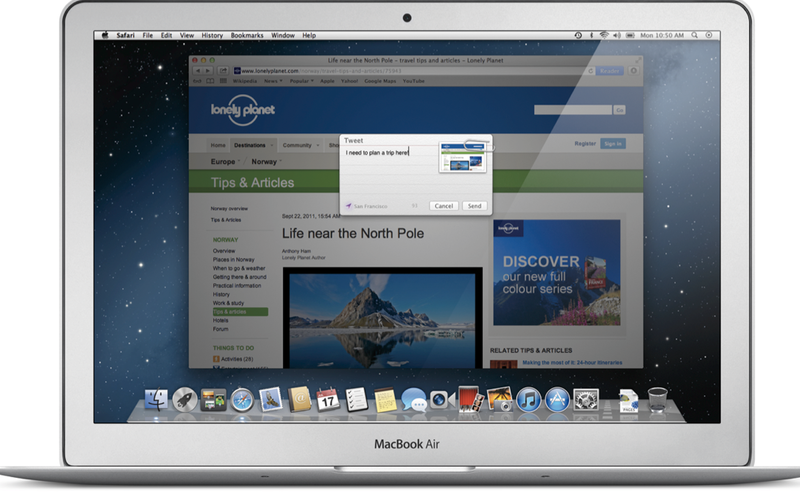 With Lion, iCloud had a number of points of integration. But they were tacked on after the initial release. With Mountain Lion, the connection is much deeper. Actually, from the first screen in the setup assistant, you’ll now be asked to set up iCloud. One key addition is Documents in the Cloud. In iOS 5, apps like Pages take advantage of automatic saving to iCloud. With OS X Mountain Lion, the circle is complete as all documents in the iWork suite of apps will save this way as well. In the Document Library, you’ll actually now see a realtime list of all your documents stored in iCloud sorted by application. And you can create folders of documents simply by dragging one on top of another. Again, very iOS-like. And the editing process between Mountain Lion and iOS 5 is seamless. You can change something on your Mac and almost instantly, the change will happen to an open document in iOS as well. Very nice. This is a new app built right into the OS itself. It technically replaces iChat, but with some tweaks, you can find that old interface as well. But the focus now is on a unified dashboard of all your messages, meaning yes, iMessages as well as IM messages. Heavy iMessage users are going to love this. Apple says there are already over 100 million registered iMessage users and that 26 billion iMessages have been sent since the iOS 5 launch in October. The best elements of iMessages now come over to Messages, including delivery and read receipts. You can drag and drop both photos and videos from OS X to send them to iMessage users on iOS. You can also FaceTime right from within the app. And there’s group messaging. Yes, the good old IM protocols still work as well. You can still hook up AIM, Google Talk, Jabber, and Yahoo Messenger by default. One thing you can’t do is message between the various services to iMessage. So, for example, you can’t send an iMessage to an AIM users and hope to continue that coversation on your phone later. And, of course, SMS won’t work with Messages, it’s iMessage-only. Good news: Apple is actually releasing Messages as a public beta today on Apple.com. 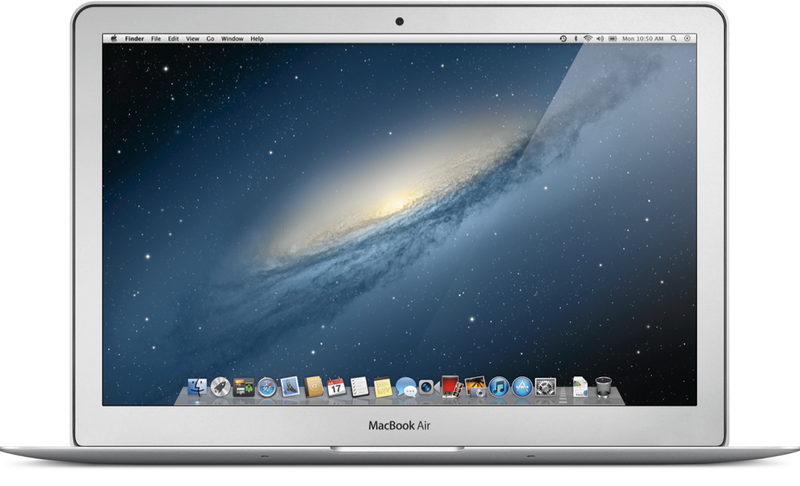 The final version will ship with Mountain Lion in the summer. If you’re using iOS 5, you know what Reminders is — it’s Apple’s to-do list app. Now it’s coming to OS X as a stand-alone app. Previously, these were awkwardly baked into Calendar in OS X, not anymore. As you might imagine, thanks to iCloud, all of your Reminders will stay in sync between iOS and OS X Mountain Lion. 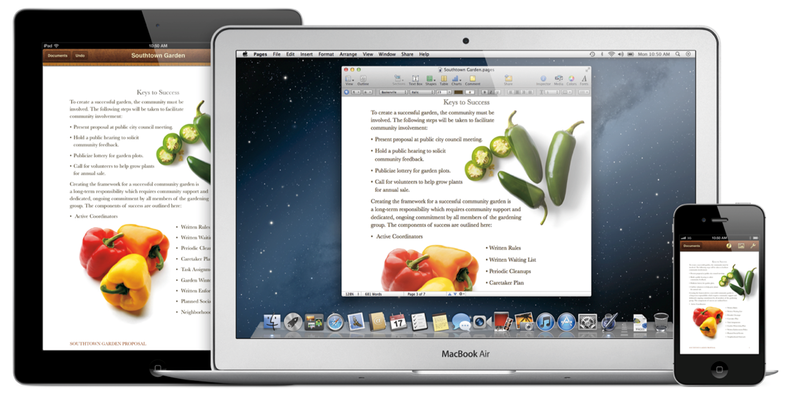 Same deal as with Reminders, Apple has taken an iOS app and built a stand-alone OS X version. But the new version is beefed up, you can include photos. 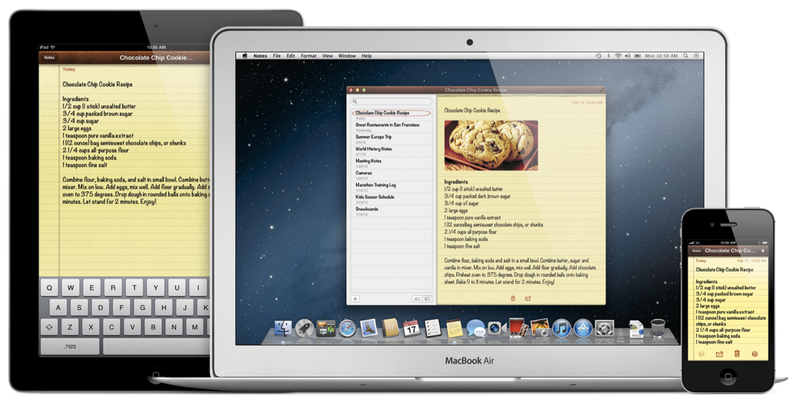 And you can pin a note to your desktop (like a sticky note — “Stickies” still exists as a separate app too, FYI). This works with iCloud too, obviously. And yes, Notes has been removed from its former awkward home in the Mail app in OS X. One of the hallmark features of iOS has long been Push Notifications, now they’re coming to OS X in Mountain Lion. And to make them manageable, the OS is getting a Notification Center, not unlike the one iOS gained in version 5. The Notfication Center in Mountain Lion resides to the right of any screen you’re on. Hidden by default, you trigger it by hitting the dot-within-a-circle button in the upper right hand side of the menu (or by doing a two-finger swipe on a multi-touch trackpad — though this wasn’t working yet in the version of Mountain Lion that I tested). Doing this will shift your desktop to the left to show all your notifications in a way very similar to iOS. There are also two types of Push Notifications you can get in Mountain Lion: Alerts and Banners. Alerts pop-up and give you the option to “close” or “show”. Banners show up for five seconds in the upper right of your screen then fade away (think: Growl). These notification types are configurable (and you can choose not to receive notifications for any app). In the version of Mountain Lion that I used, only Apple apps (Calendar, Safari, Reminders, Messages, Mail, App Store, and Game Center — more on that in a bit) could receive Push Notifications, but fear not, there is a developer API. This means that all third-party apps will potentially have access to the feature as well — or at least those sold through the Mac App Store, I believe. In iOS, it’s easy to share something from just about all of the core apps. In OS X, it hasn’t been. 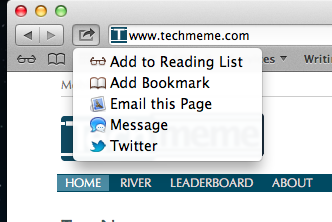 With Mountain Lion, you’ll now see a Share button (the right-facing arrow you’ve see in iOS) in many of the apps. In Safari, for example, you’ll now be able to send any website you’re on with two clicks to Mail or the new Messages app. In other apps, you’ll be able to send directly to AirDrop from the drop-down. And depending on the app, you can do the same for photos, videos, and documents as well. One nice touch is that Share isn’t limited to Apple apps — Apple has worked with Vimeo and Flickr so that you can send videos and pictures to those respective services from the drop-down. And there will also be a developer API for the Share box. Though my understanding here is that this will only be on a per-app basis. Meaning a Facebook app, for example, could include a “share to Facebook” link in the Share button drop-down but only for that app. System-wide sharing options will require dealing with Apple — again, as Vimeo and Flickr did. Long story short, no, Facebook isn’t in the system-wide drop-downs. At least not yet. Just as with iOS 5, Twitter integration is coming to OS X Mountain Lion as well. And again, this is system-wide, meaning you can share just about anything from anywhere to Twitter with two clicks. If you’ve used the integration in iOS, the Tweet Sheet will look familiar to you. Geotagging will work from here as well. And, of course, attachments. You’ll be able to attach photos, web links, and even Mac App Store links. You’ll be able to sign in to your Twitter account from the settings area in Mountain Lion (technically, it’s under Mail, Contacts & Calendars). However, unlike iOS, I’m told that you won’t be promoted to download the Twitter for Mac client. Instead, Twitter is mainly meant to work in the background for when you want to socially share something. (Meaning there is no built-in way to view your Tweet stream.) But Tweet notifications for @replies and DMs should eventually come into the new Notification Center in Mountain Lion, I’m told. Third-party developers will be able to take advantage of this Twitter integration as well, just as they have been with iOS. And you’ll be able to update your Contacts app with Twitter profile pictures. 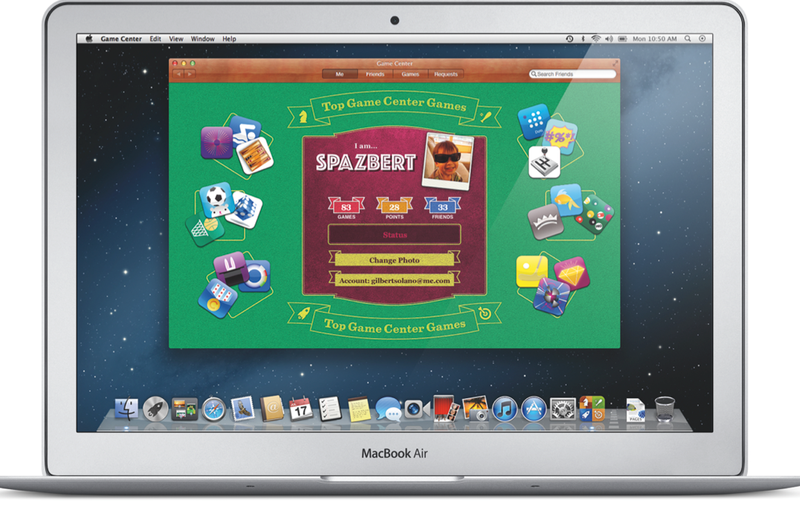 As I alluded to before, another app making the jump from iOS to OS X is Game Center. Apple says that their gaming social network now has over 100 million registered users. And there are over 20,000 Game Center-enabled games for iOS. That should get a considerable shot in the arm now that there will be Mac support as well. What’s really promising about Game Center in Mountain Lion is that it’s not just about Mac-to-Mac gaming, it will enabled Mac-to-iPhone, Mac-to-iPad, and Mac-to-iPod touch gaming as well. Obviously, this is going to require game developers to custom tailor their apps for seamless gaming, but I’ve seen it in action — someone playing a racing game on a Mac versus someone on an iPhone — and it works very well. You can probably expect a rush of iOS games being ported to the Mac by this summer. AirPlay is maybe my favorite feature of iOS right now simply because it seems like it’s magic. You can not only push things like movies to the Apple TV from your iPad or iPhone, you can push your entire iOS experience as well. And with Mountain Lion, you can push your entire OS X experience as well. 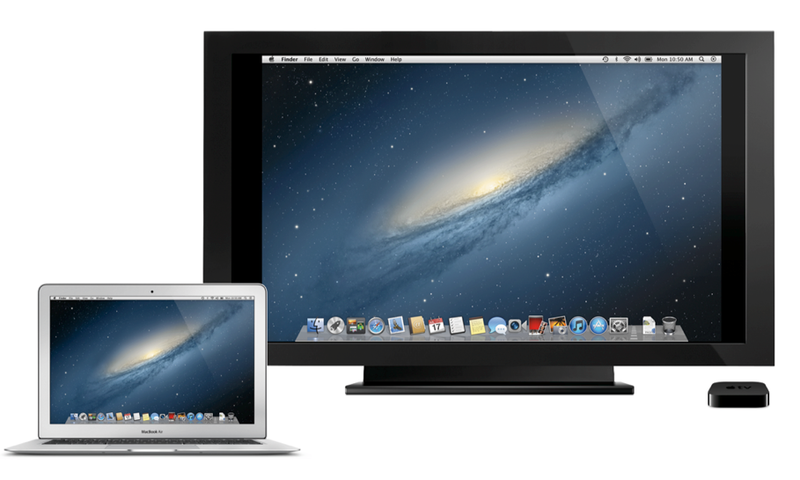 In the menu area of Mountain Lion, you’ll see a new option to push your entire desktop to an Apple TV via Airplay. This will essentially turn your television inot a massive monitor. I’m told there will be no limit on content that can be pushed, though developers may have the option to block certain content down the road (HBO is an example of one iOS app that doesn’t work with AirPlay, which is lame). There’s resolution matching to 720p HD video. This is an entirely new security feature in Mountain Lion. While Apple feels like they’ve largely avoided some of the major malware problems out there, they acknowledge that the threat is still very real. With Gatekeeper, they offer a solution. And it’s going to be controversial. Essentially, Gatekepper gives you control over the kind of apps that can be installed on your computer. There will be three options: allow apps from anywhere (the way it works today), allow only Mac App Store apps, allows Mac App Store apps and identified developers. The reason why this will be controversial is because the final option will be the default one. To be clear: this means that by default, you won’t be able to install any app from the web on your machine. Now, hold on for a second. Calm down. You can easily change this in the settings (it’s actually not all that different from Android’s default setting, oddly enough). And the truth is that this is likely to be a good thing for many people who might otherwise download bad apps by accident. Apple is not requiring that all apps go through the Mac App Store (though, again, this is an option), but the Mac App Store + Identified Developers option gives them a way to still offer a higher level of protection to the average user. The other controversial element will be the way you become an “identified developer” — you’ll have to sign up to be a Mac app developer (which is $99 a year). Again, this doesn’t mean you’ll have to sell your software through the Mac App Store — nor will your apps be pre-screened by Apple — but it will make it so Apple can know who you are as a developer. And if they find out one of your apps is bad, they’ll quickly pull your credentials. Apple is thinking a lot about China. And it’s hard to blame them — it’s the area accounting for their fastest growth. 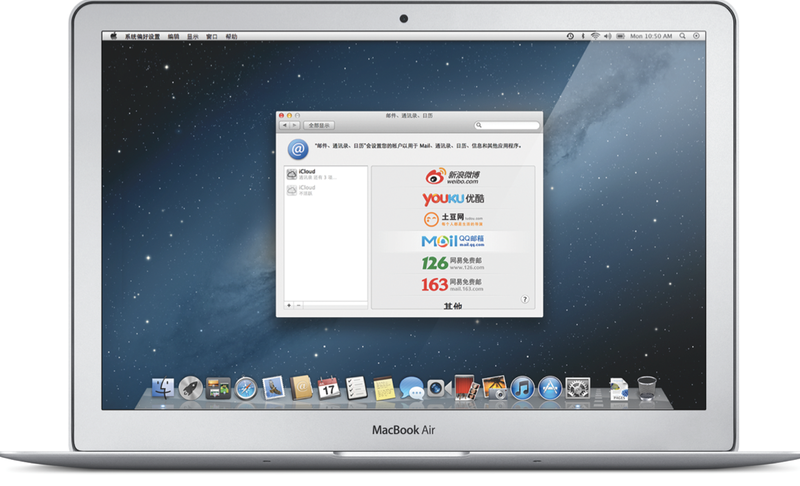 With Mountain Lion, there are a number of new features specially tailored for Chinese users. First, there are improvements around the Chinese input methods. Apple notes that the Chinese language is evolving quickly, so they need to be able to update it quickly for things like word suggestions. And they also now have the ability to mix Chinese and English words (without switching keyboards), which apparently is a popular thing to do. Apple is also integrating the Chinese search engine Baidu, into Safari by default for Chinese users. This makes sense as it’s by far the market leader in that country. Along those lines, they’ve added Tudou and Youku support for video uploads. And they have Sina weibo (sort of the Chinese Twitter) integration for microblogging. And there are several popular Chinese email providers as options in Mail now as well. I’m told these special Chinese features have nothing to do with blocking any kind of information that would otherwise be a part of OS X — though I still wonder if the Twitter integration will fully work, for example. A search box in Launchpad (to see for apps if you have a ton). Better date editing in Calendar (a calendar drop-down finally). A much better way to add/remove widgets in Dashboard (more app-like). There’s a new galaxy background (!). Running “Software Update” now re-directs to the Mac App Store. It’s not clear if that’s the way all updates are going to come from now on or if that’s just due to the preview status of Mountain Lion. AirPlay Mirroring will require an Apple TV software update. Running “Shut Down” and “Restart” now remembers your last-used “Re-open windows” setting (finally). There wasn’t a noticeable difference in real-world use speed between Lion and Mountain Lion. I ran both on a 1.7 GHz MacBook Air with 4GB of RAM. Startup and shutdown speed was noticeably slower with Mountain Lion (but again, this is the first release, that may change). Battery life doesn’t seem to be altered by OS X Mountain Lion versus Lion. If anything, it’s maybe a little better (though the machine was also newer). Apple says that over 19 million copies of Lion have now shipped (including both Mac App Store and new Mac numbers). This means the software makes up about 30 percent of the total OS X user base in under seven months. They say that it took Windows 7 twenty-one months to reach that milestone. If the initial developer preview is any indication, Mountain Lion won’t be as big of a sea change as Windows 8 will be. Instead, it’s more of a continuation of what Lion started. Apple has far more iOS users than OS X users at this point. Now it’s about getting everyone on the same page. This early build is a great start.